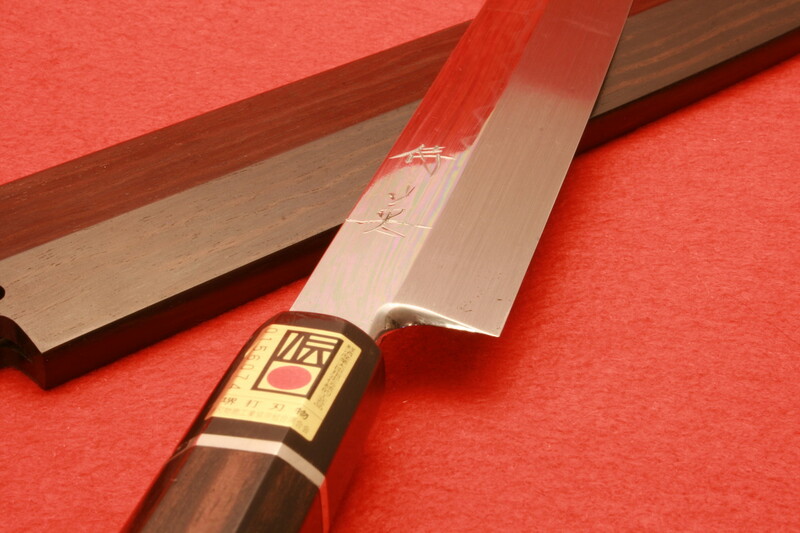 Our brand name "英・Hide" comes from the founder of this company, Hideaki Yamamoto. 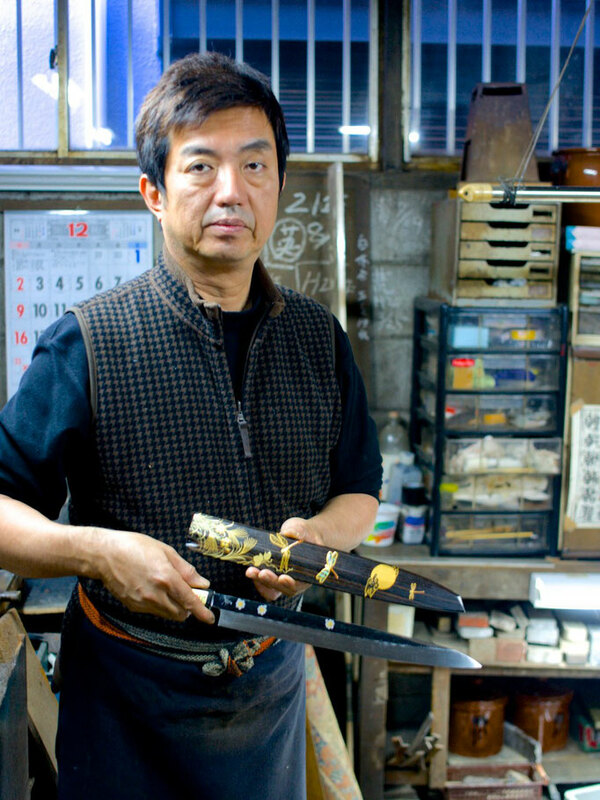 He has over 65 years of experience, and he is the only craftsman who is trained in, and currently doing sharpening for not only knives, but also Samurai Swords in Sakai, OSAKA. 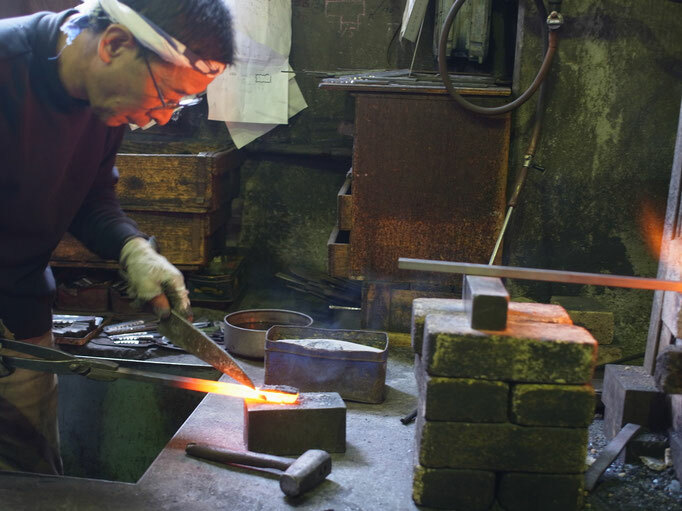 Today, he is making knives together with his oldest son, Shinichiro Yamamoto, a certified craftsman with over 30 years experience. 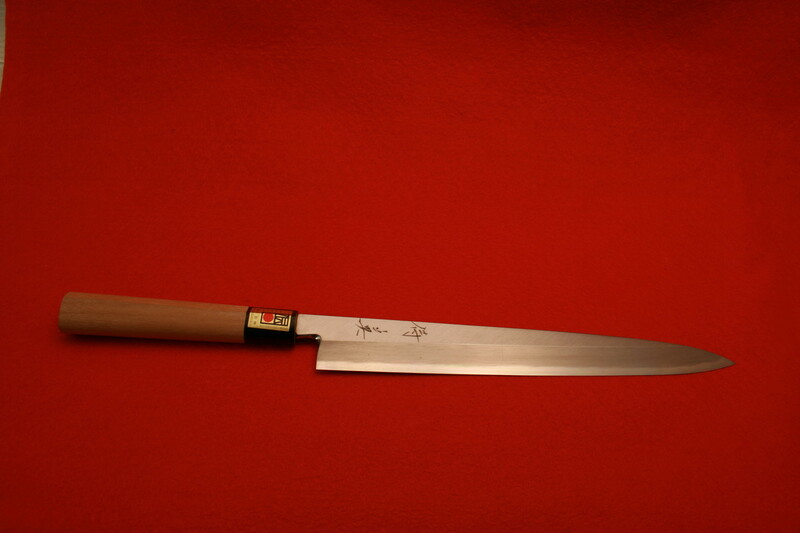 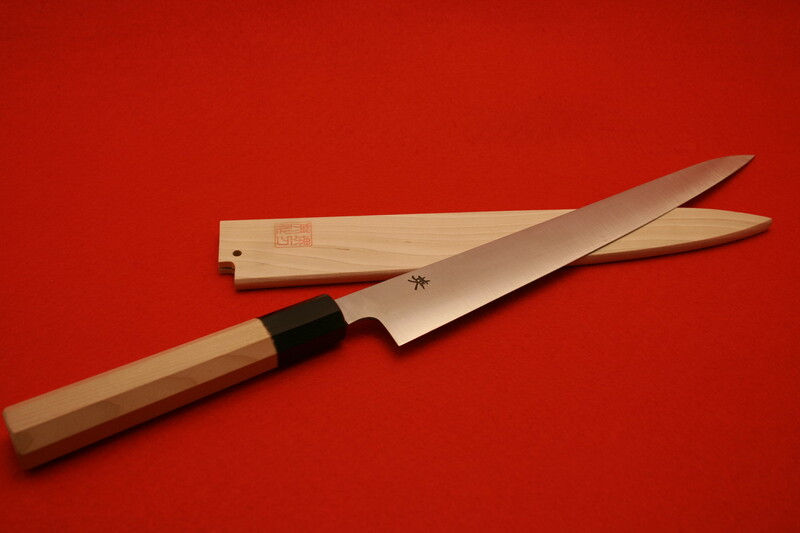 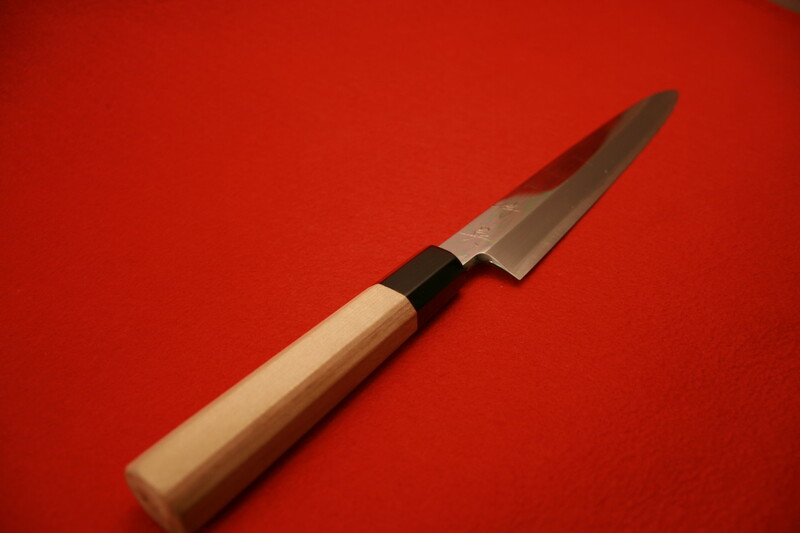 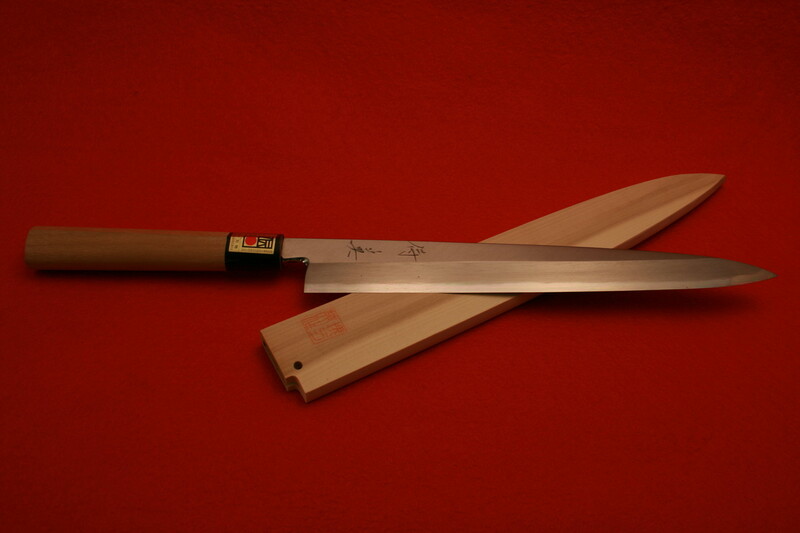 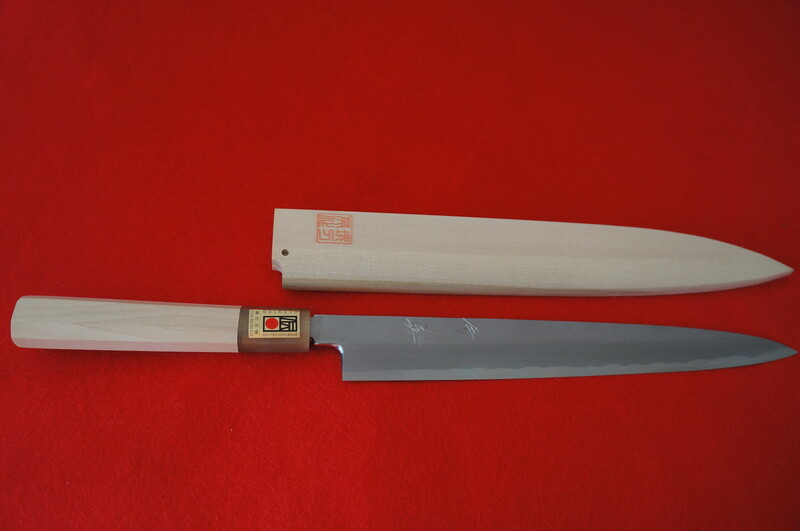 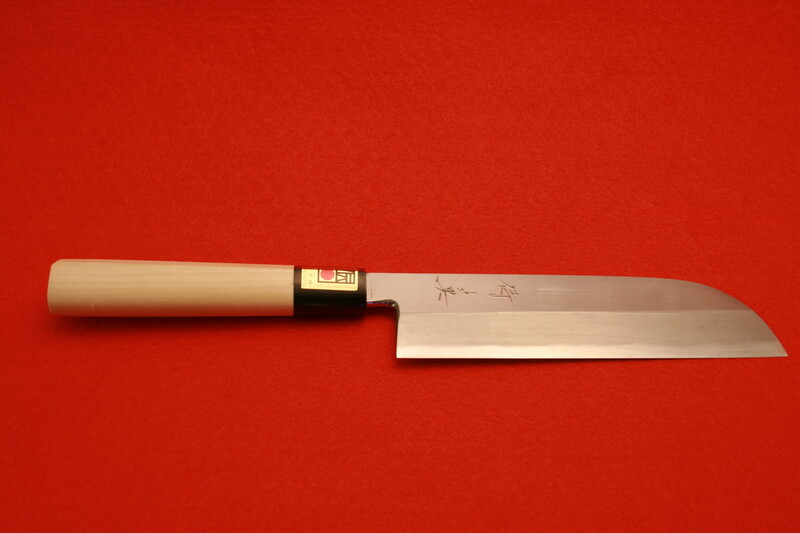 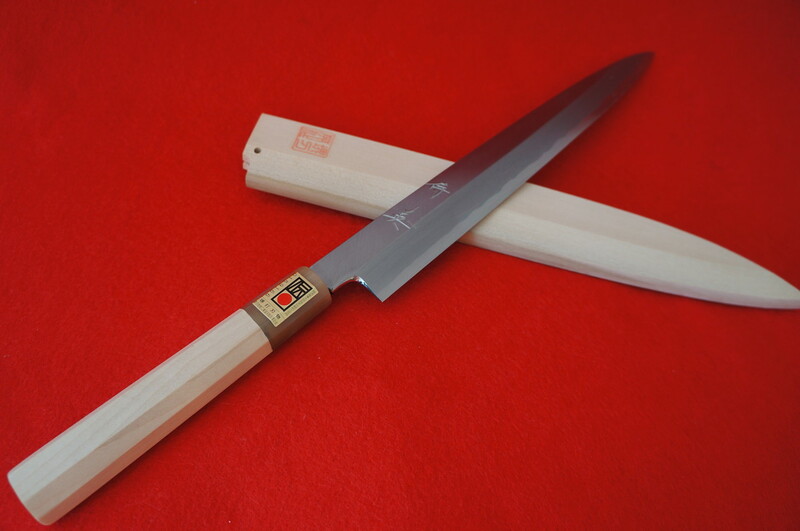 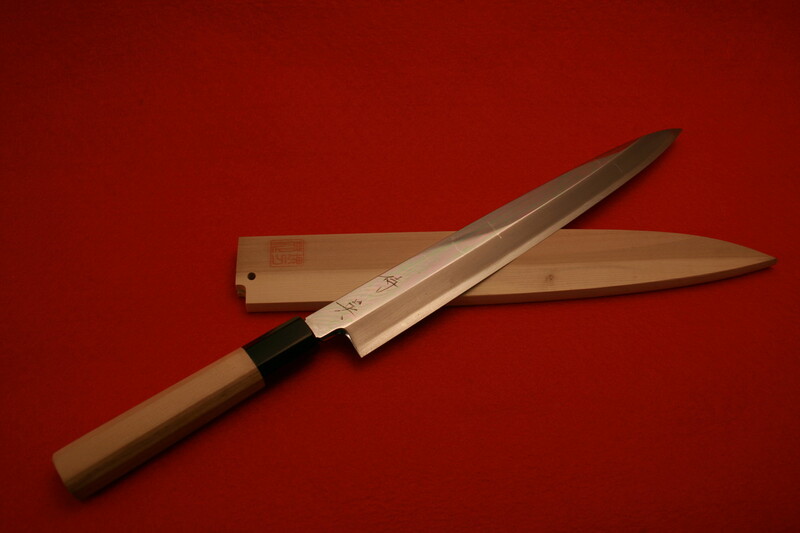 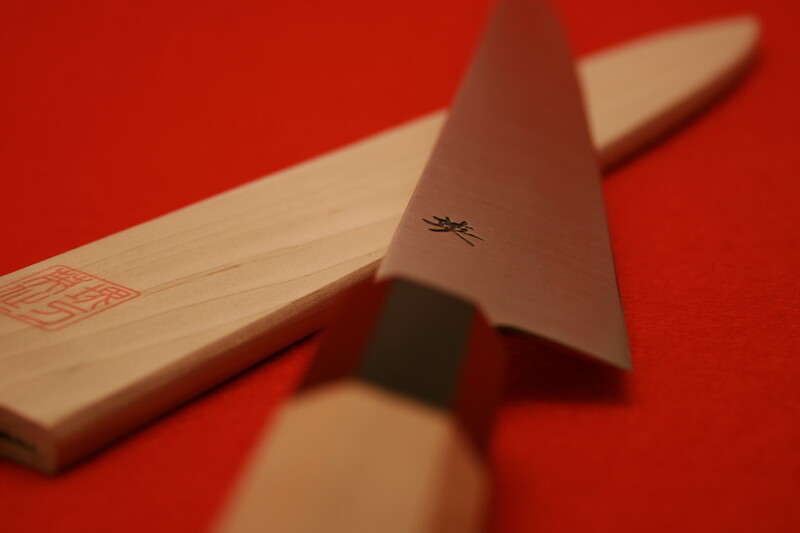 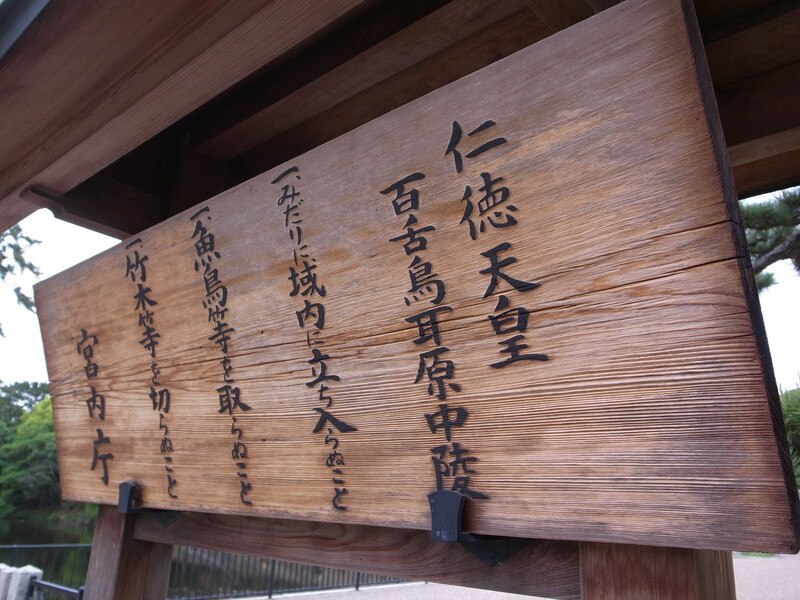 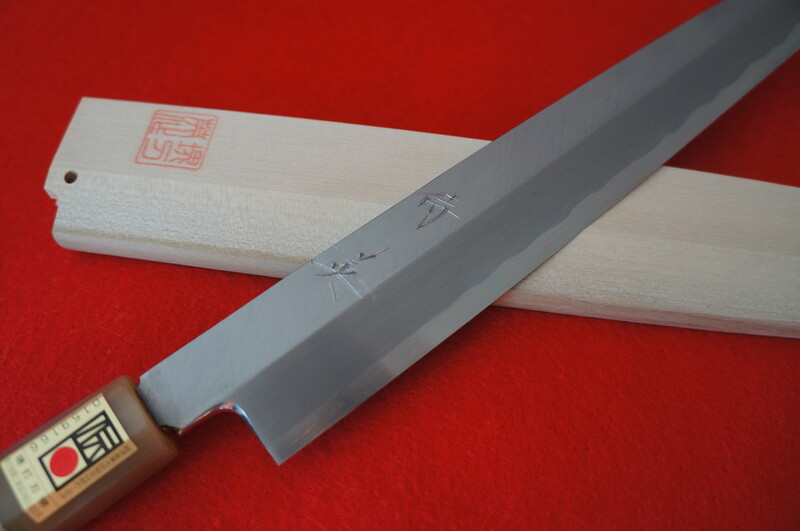 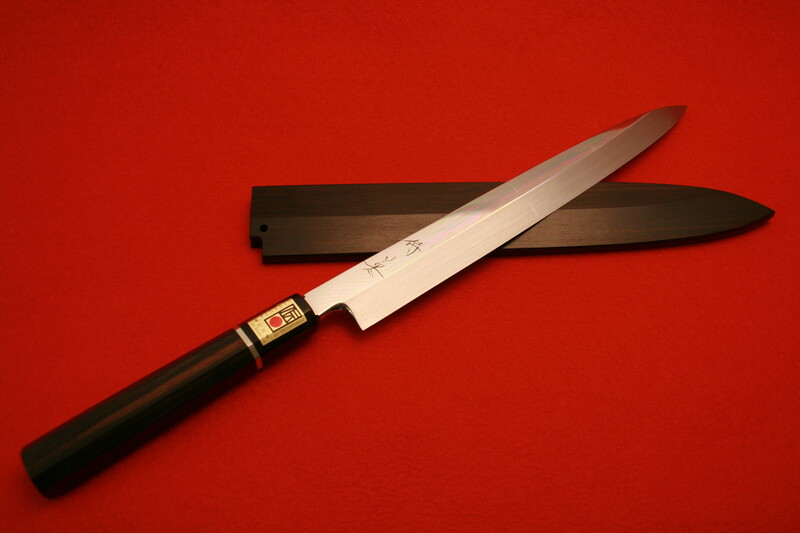 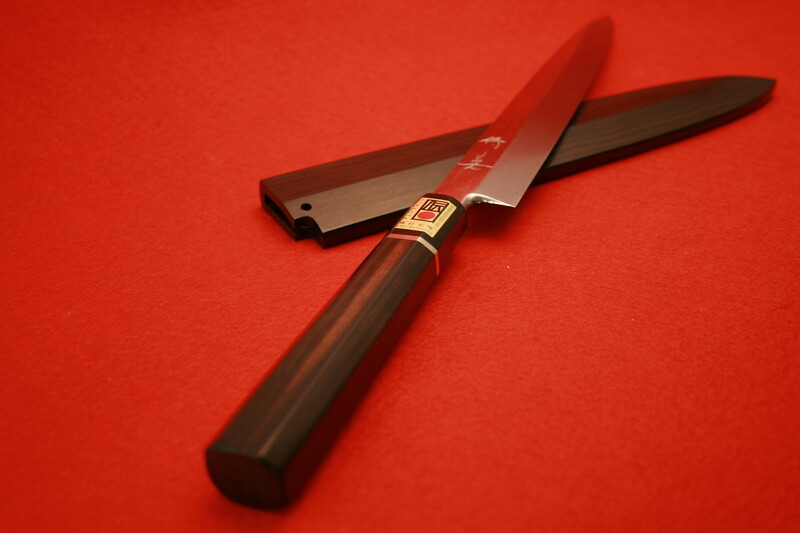 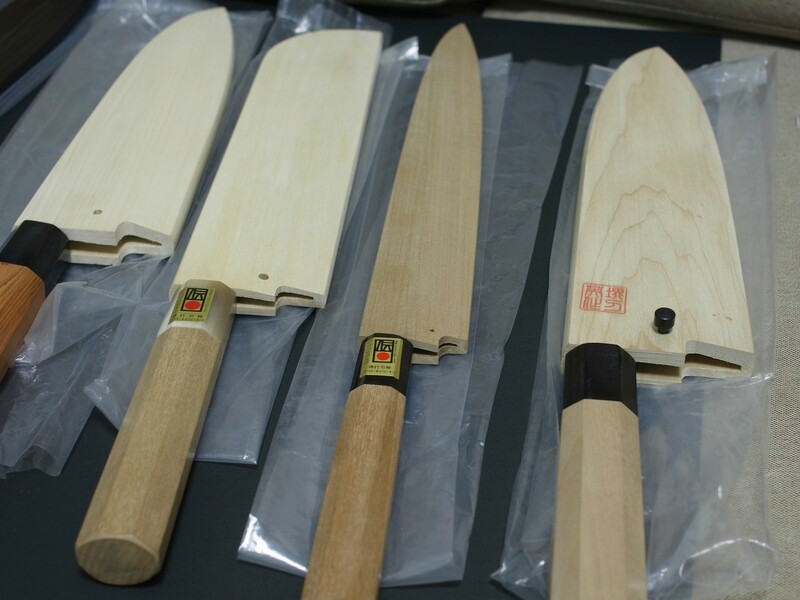 Sakai city has been know as the city of chef knives in Japan from Edo period which is more than 300 years. 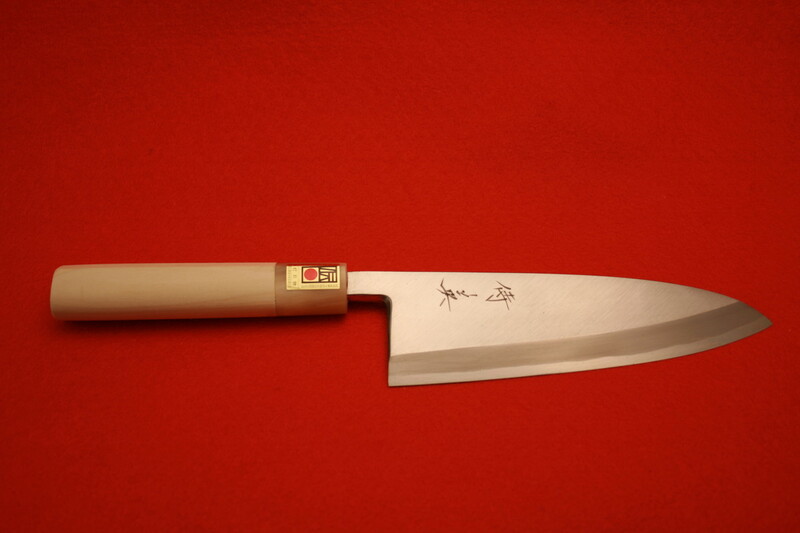 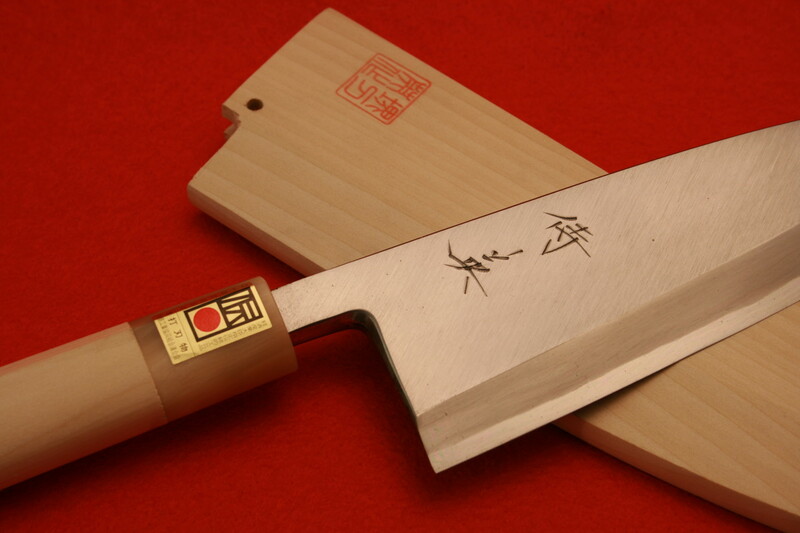 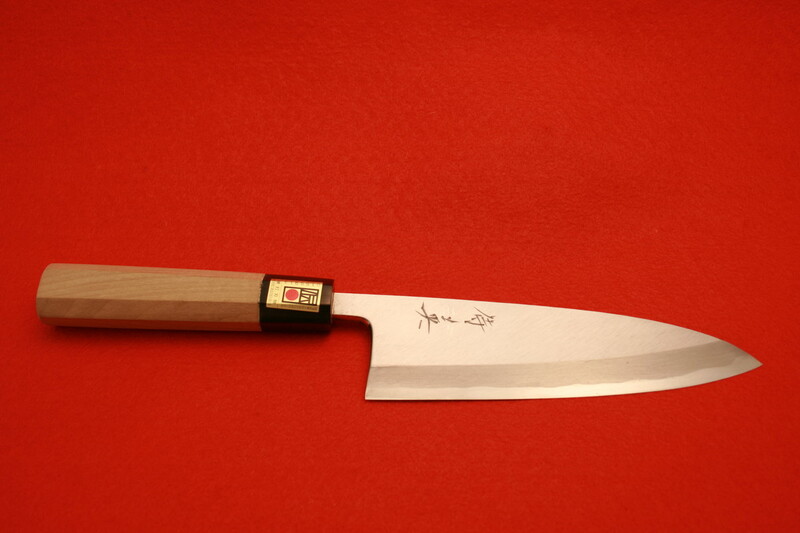 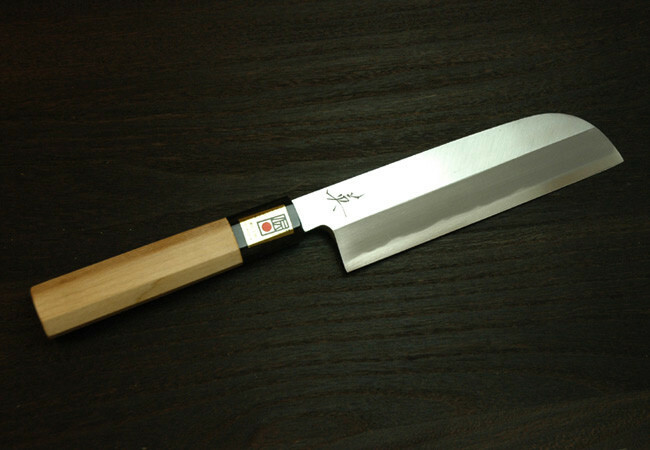 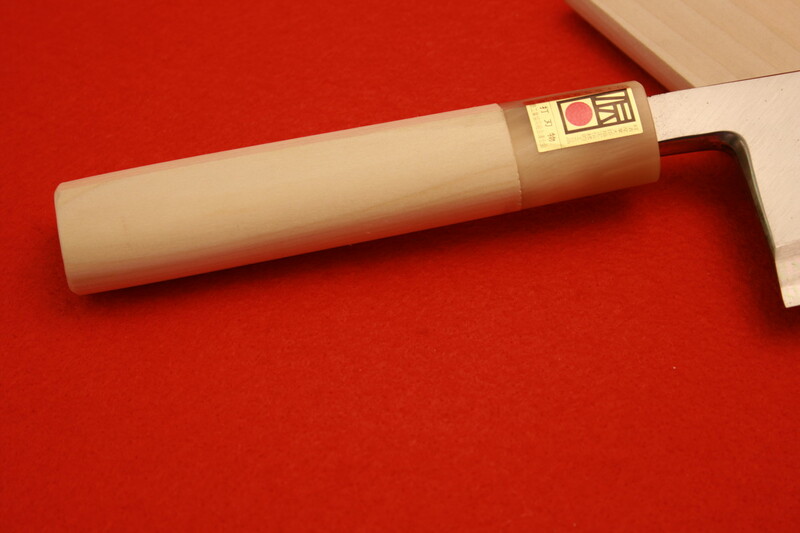 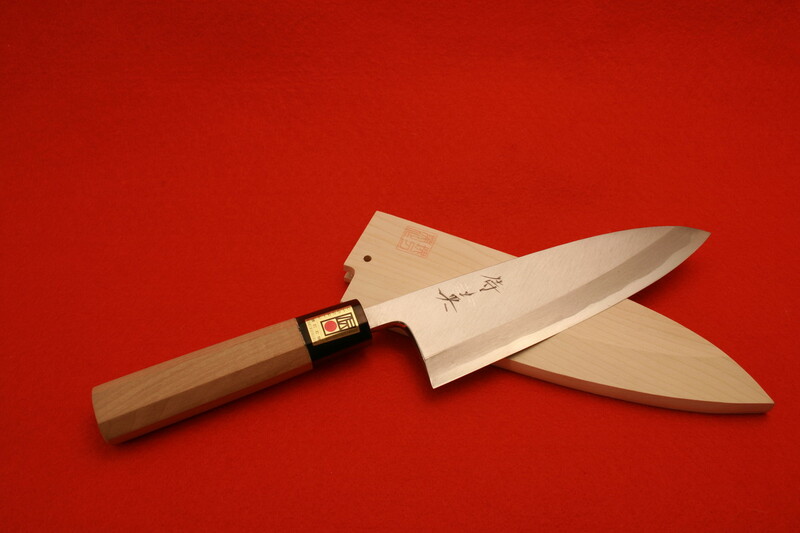 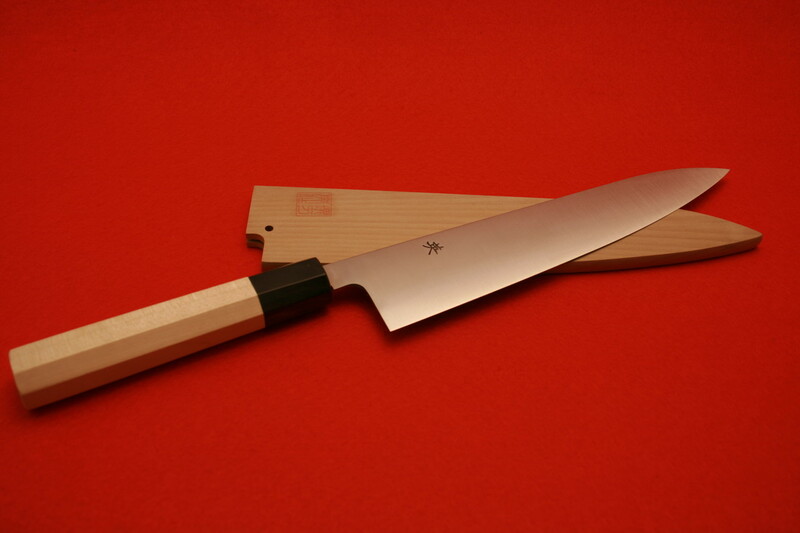 “HIDE” is creating the best chef knives over 50 years in Sakai. 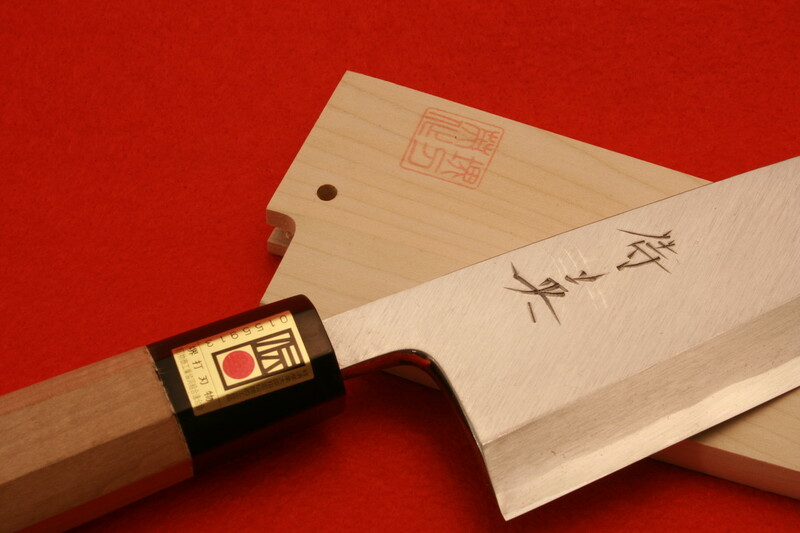 The difference between HIDE and other Chef Knife Shops is the craftsman’s uncompromising attitude. 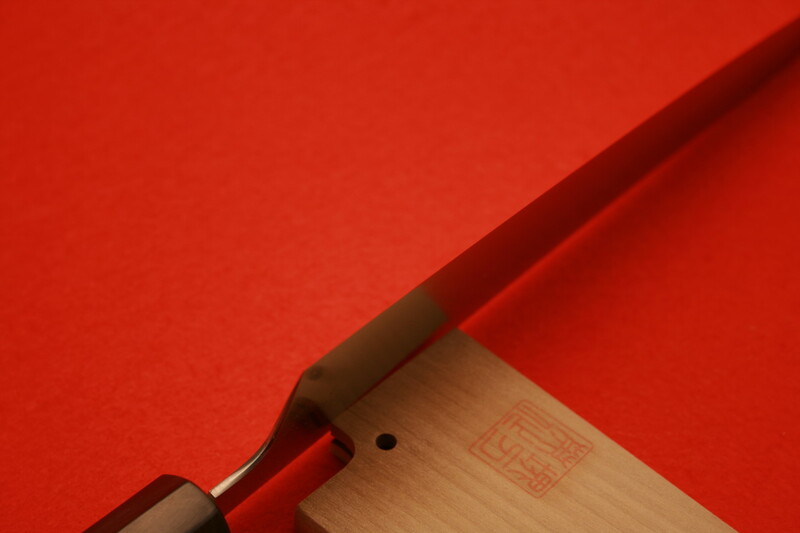 For example, the craftsman only uses the materials which he really likes and confident with it. 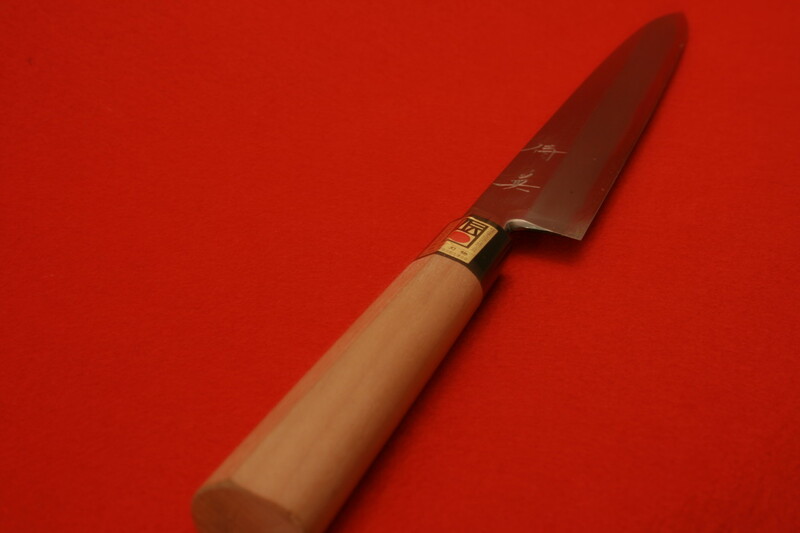 In addition, the craftsman sells only chefs that he knows because he does not want to sell the knives to people without knowledge of knives and also he wants understand his passions to the people who handle HIDE knives. 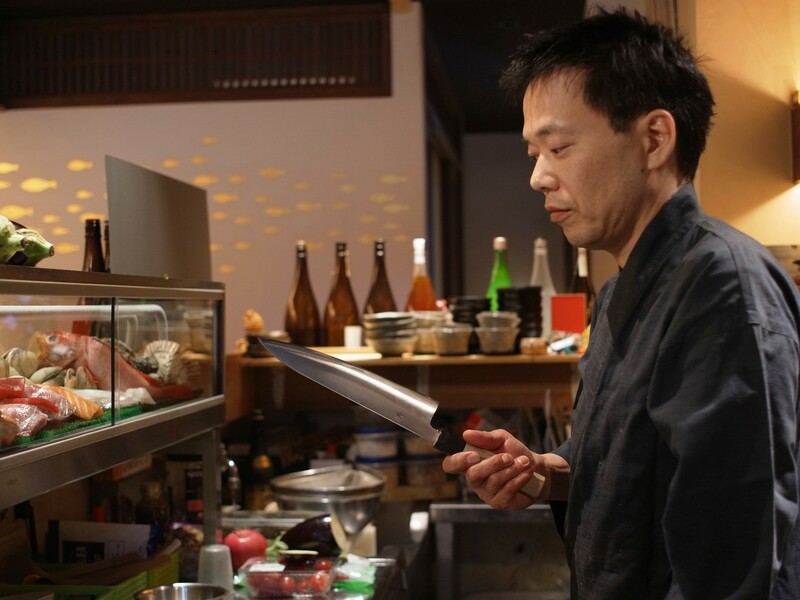 Impressions directly from the chefs. 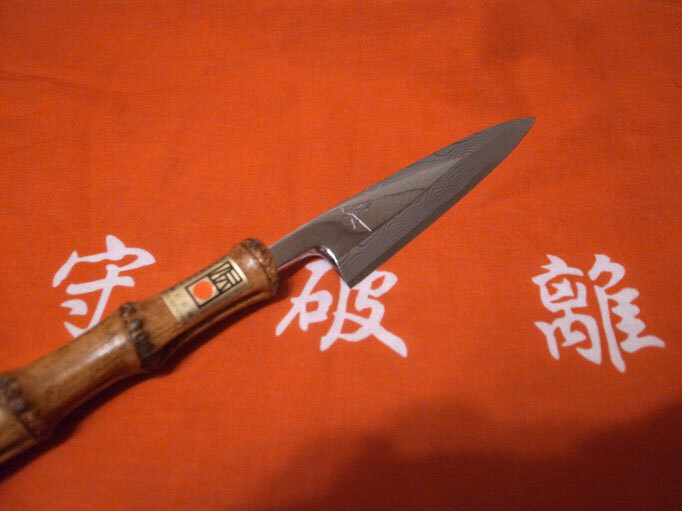 Thus HIDE knives were sold to a sort of closed market. 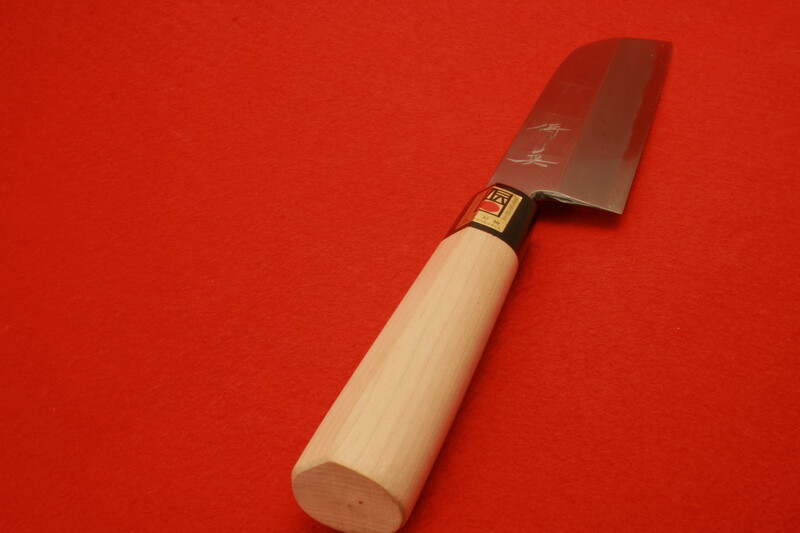 However, we have now permitted to sell HIDE Knives in CANADA as 真英. 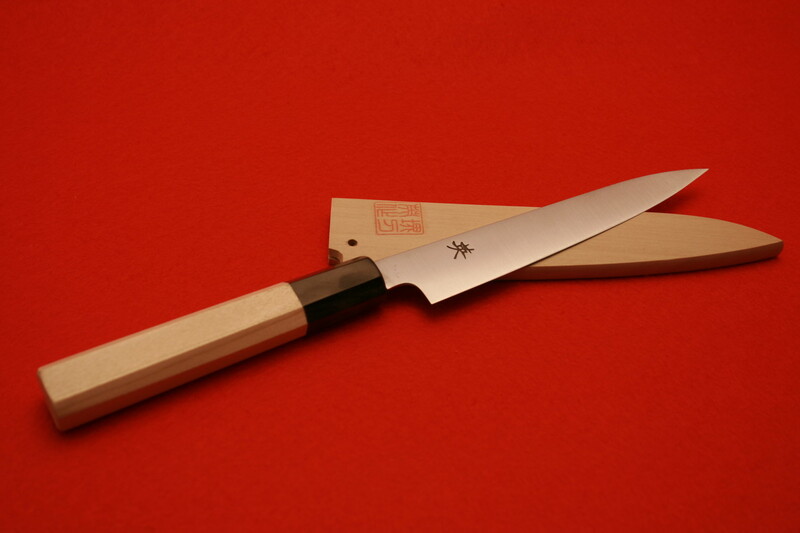 Especially Yasuki Specialty Steel (YSS) Blue #1 Knife is our Leader Products. 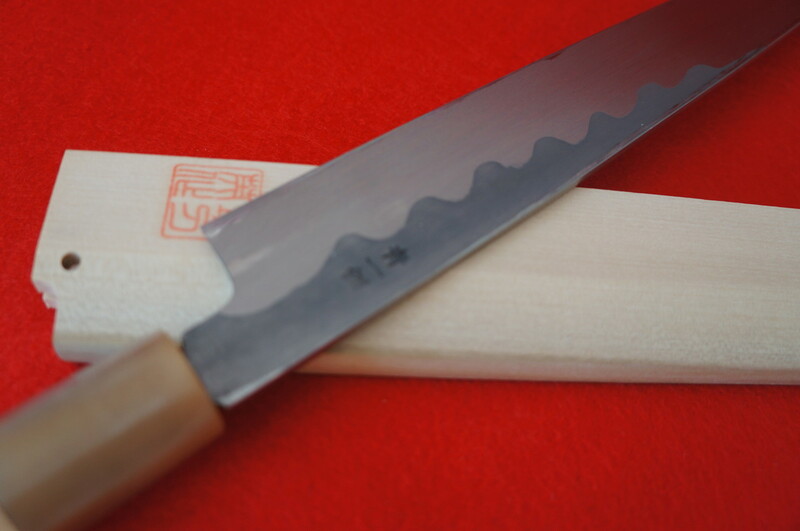 Actually there are several types of YSS such as White Steel, Yellow Steel, and Ginsan depending on its chemical compounds and the percentage of carbon is steel. 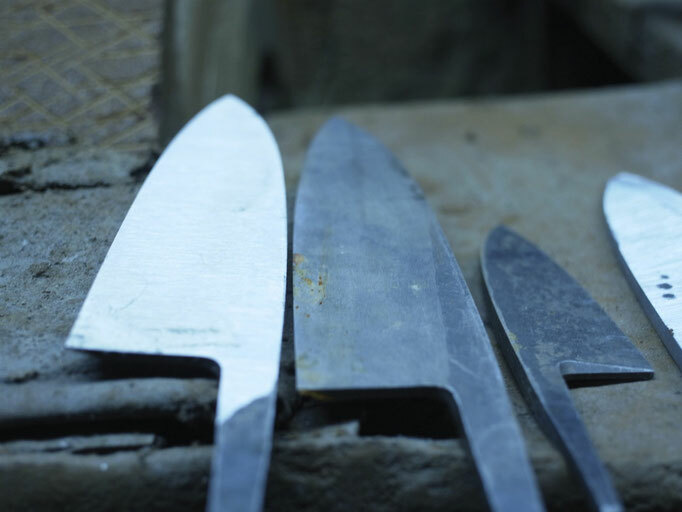 Blue #1 and White #1 have the most percentage of carbon which gives the hardness of the steel. 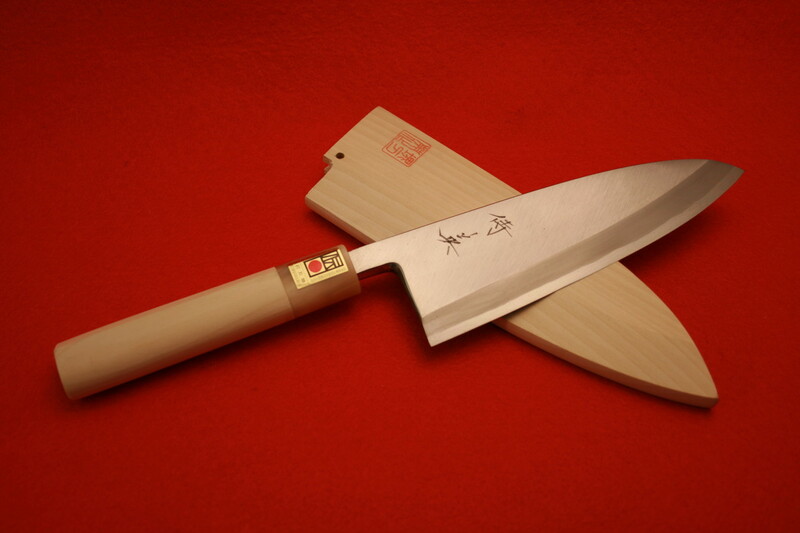 Then when a knife is sharpened, those steel knives give the best sharpness. 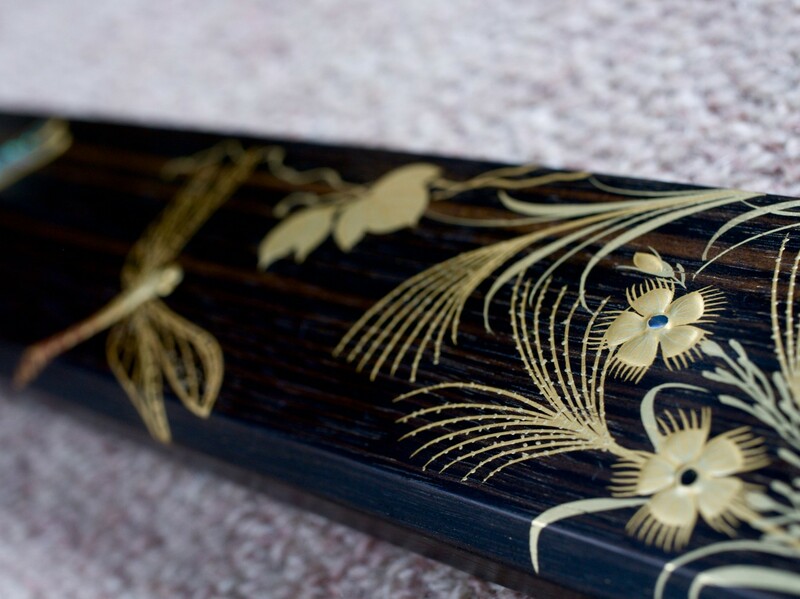 Now let’s compare Blue & White. 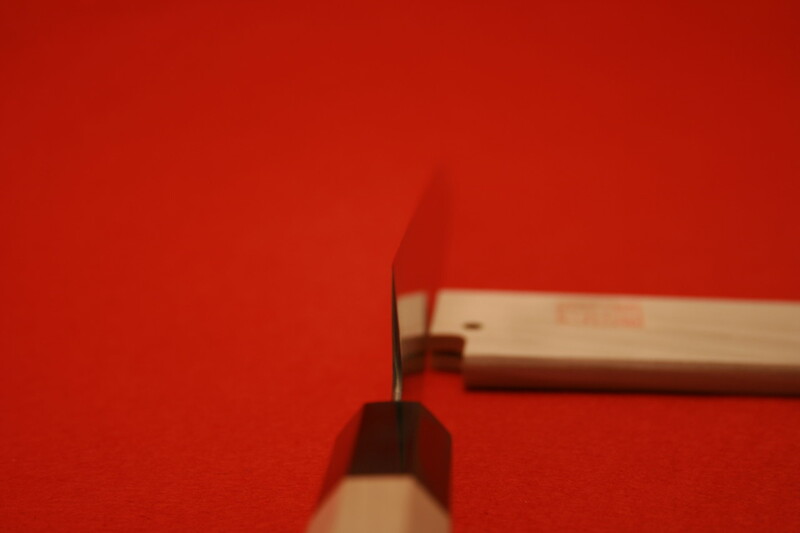 Blue Steels have few amounts of chromium & tungsten to give toughness. 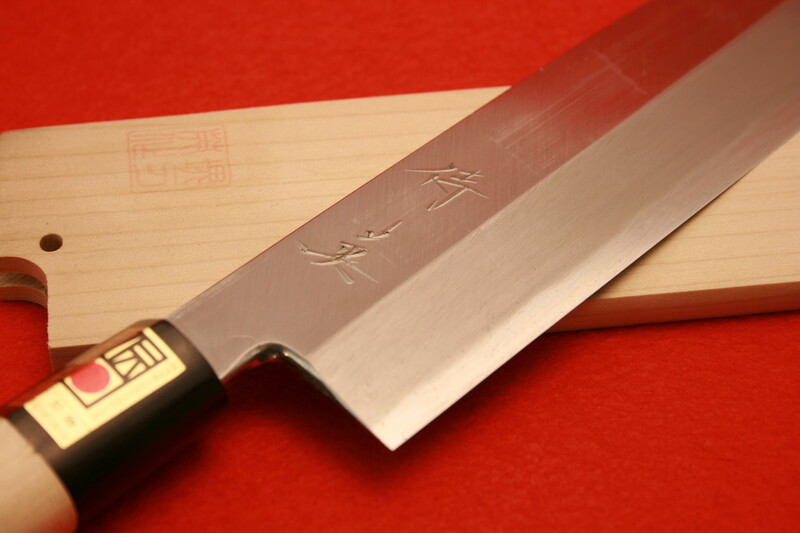 Therefore, Blue Steel knives have longer lifetime sharpness than White Steel knives after sharpening. 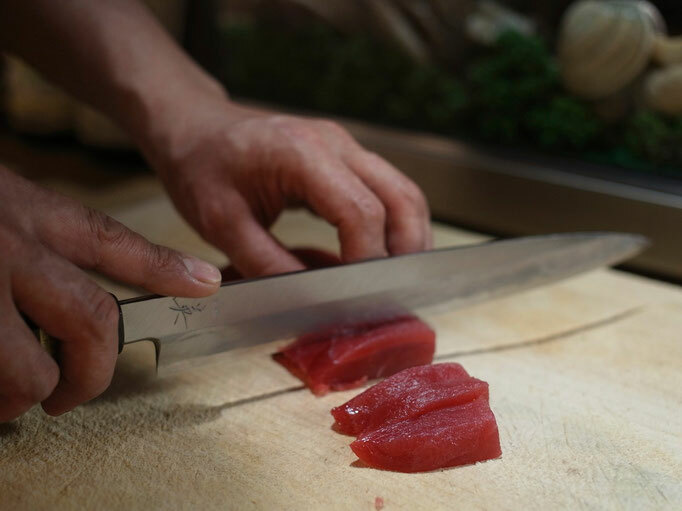 Chefs are using their knives ours and ours. 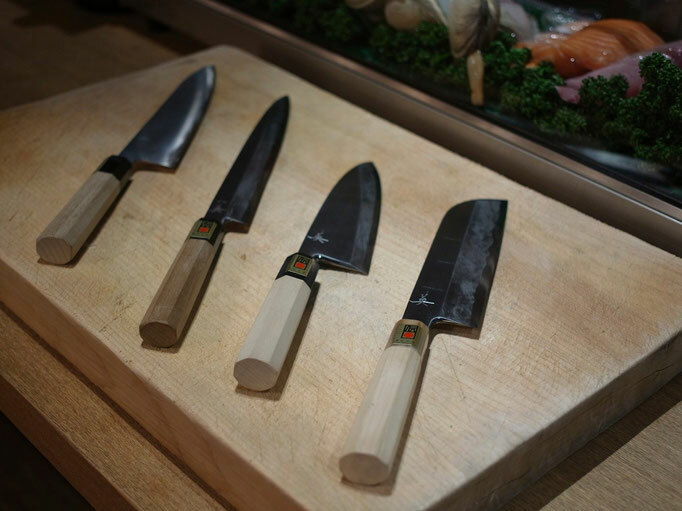 If a knife needs to be sharpened every half hour, that chef can’t keep working for hours. 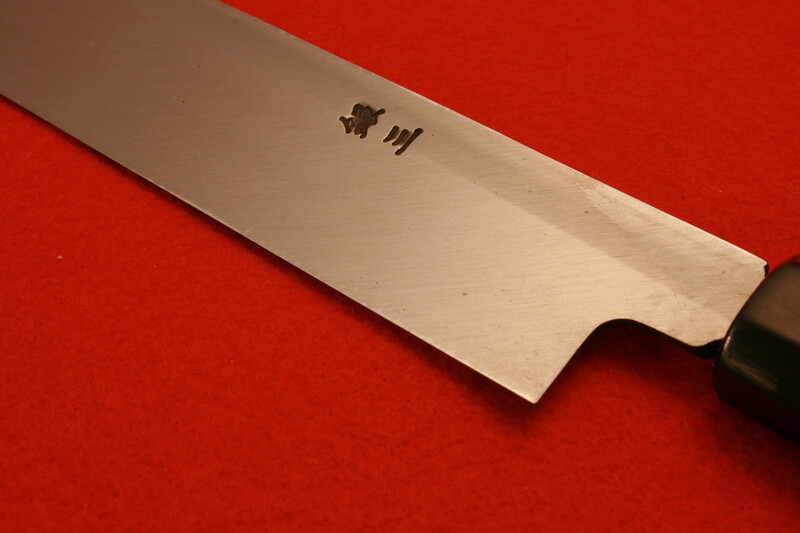 That is to say, sharpness of a knife is important but its toughness is much more important. 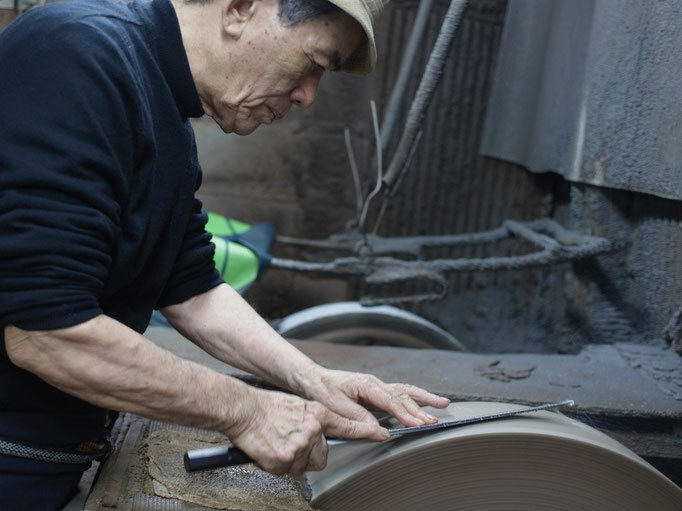 The craftsman knows it so much. 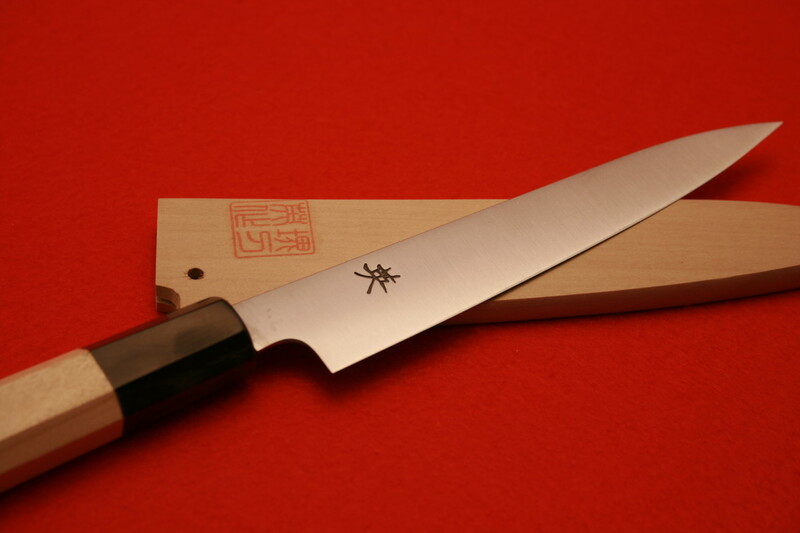 Thus the craftsman has been trying to create sharp & tough chef knives for years and the answer is YSS Blue #1 Steel. 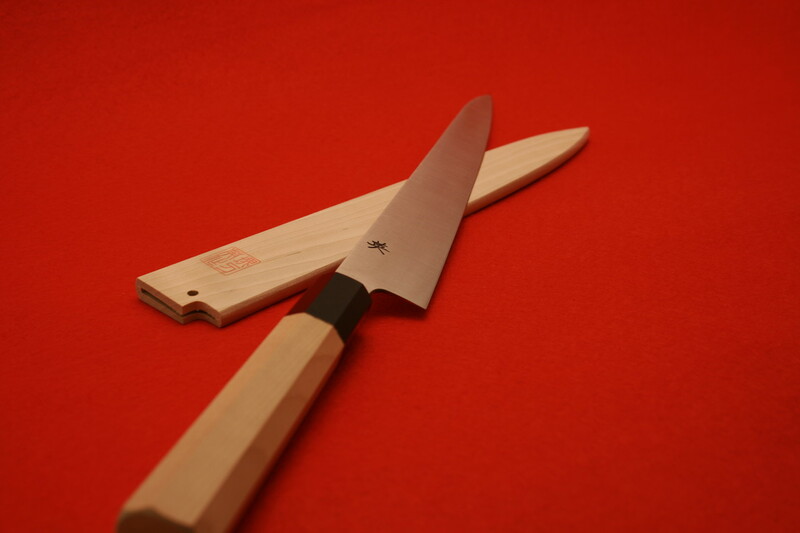 So each parts of knife have each craftsman. For example, there is the same material but it is going to be different products depending on the blacksmith. HIDE craftsman has a high confident of Mr. Shiraki’s＆Mr.Mabuchi　work. He is known as the best black smith in not only Sakai but also all over the world. 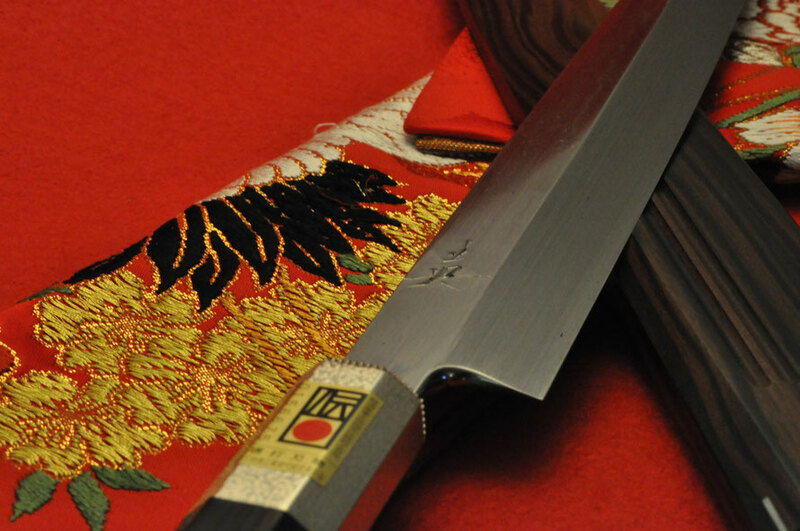 HIDE knives are proudly created with professionals. 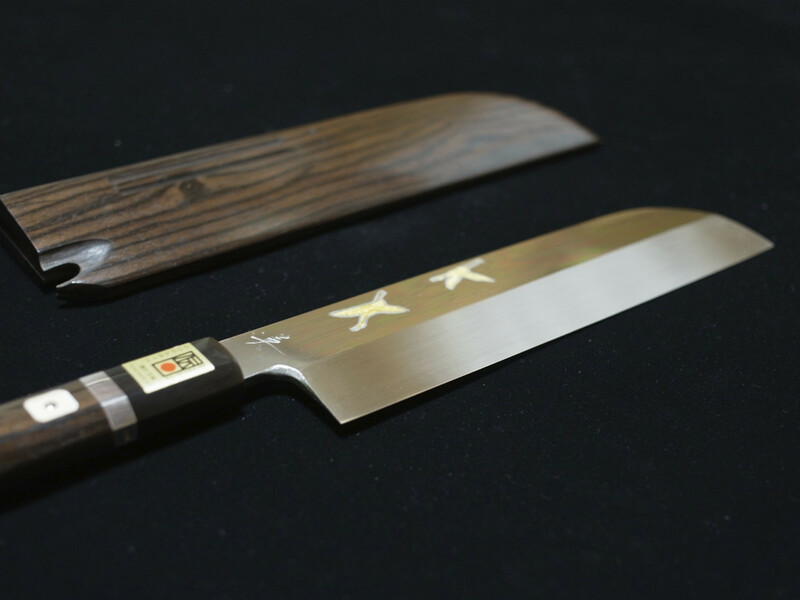 The awards achieved years and feedbacks from professional chefs prove its quality and hopefully people understand the passions behind the knives. 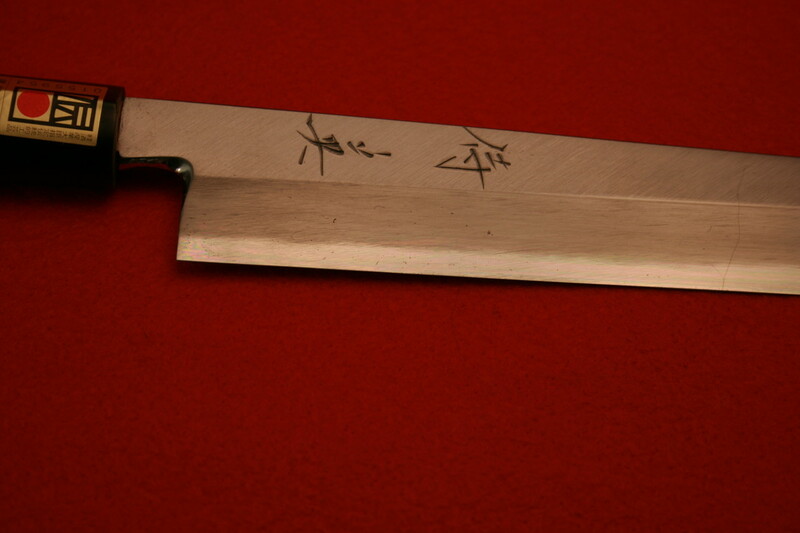 What do you want to cut? 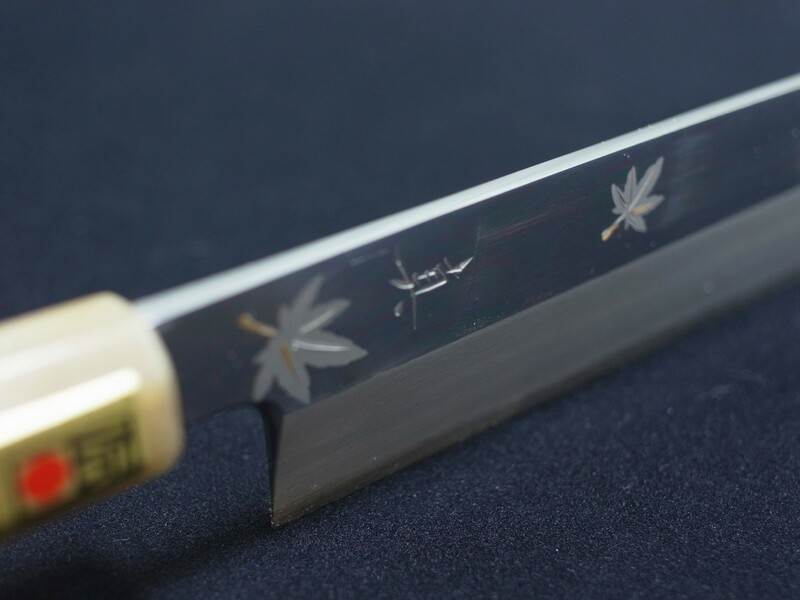 For what purpose are you using a Japanese knife? 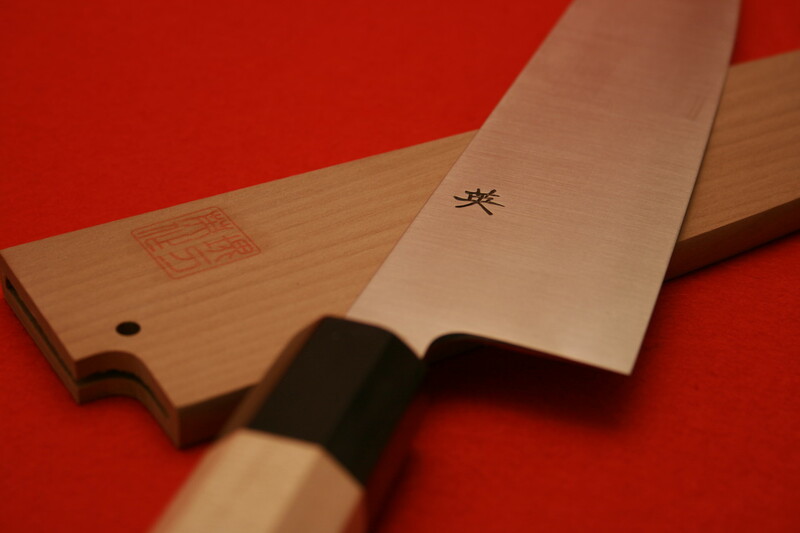 Are you familiar with the types of Japanese steel? 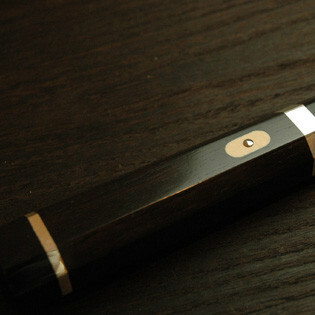 The HIDE KNIFE is made with our signature blue steel. 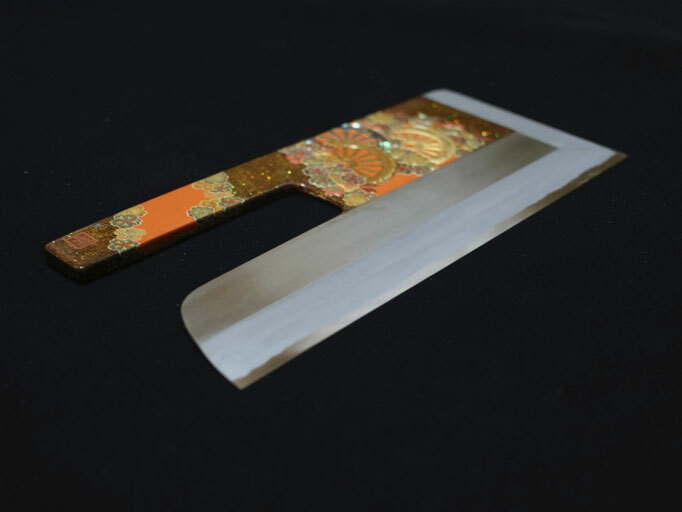 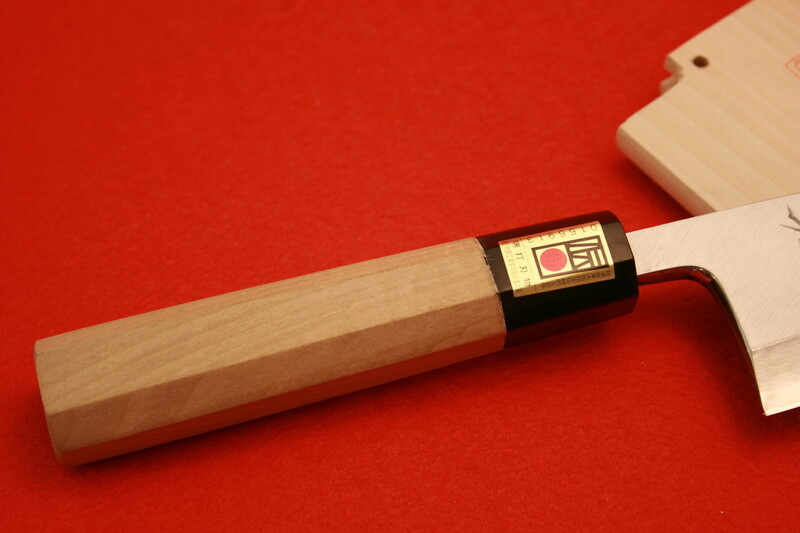 This special alloy keeps a very sharp long-lasting edge and is easy to sharpen. 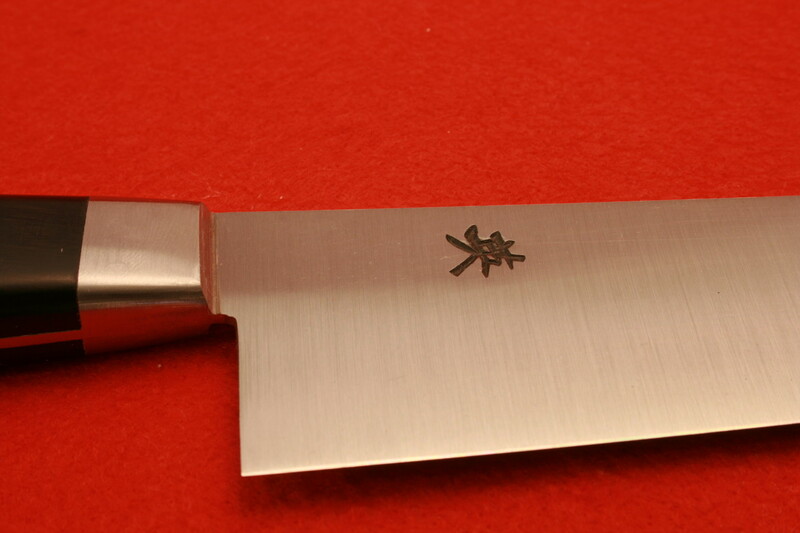 Blue Steel is very durable and won't scratch or chip. 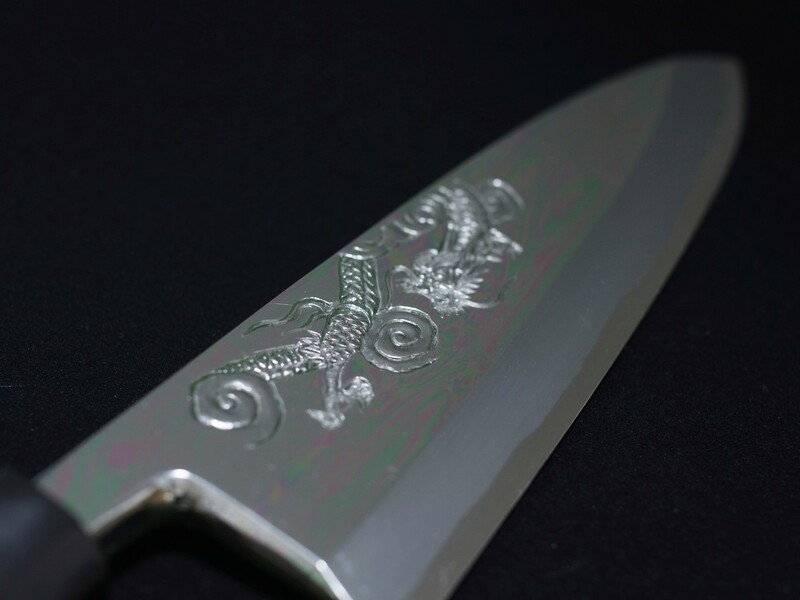 This entry level knife is forged from white steel. 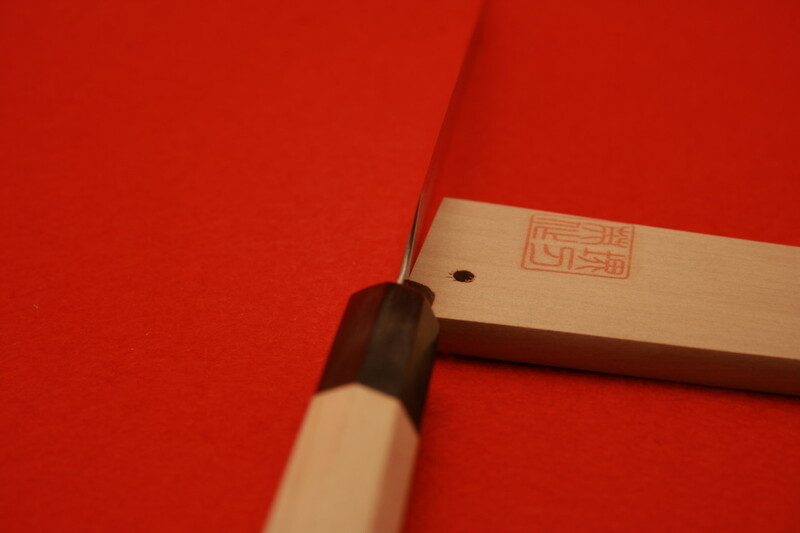 It is easy to handle and sharpen. 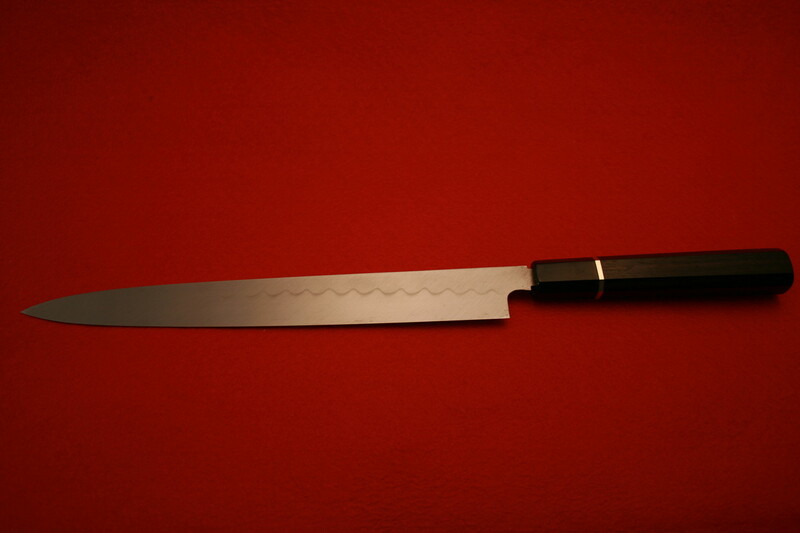 Suitable for the novice chef or household use. 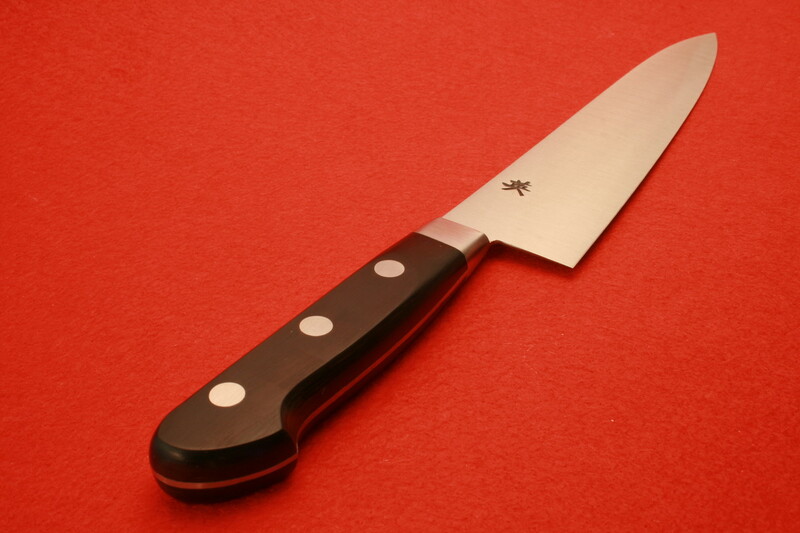 Our stainless steel offering is a Swedish stainless steel that is considered the best for keeping a fine edge. 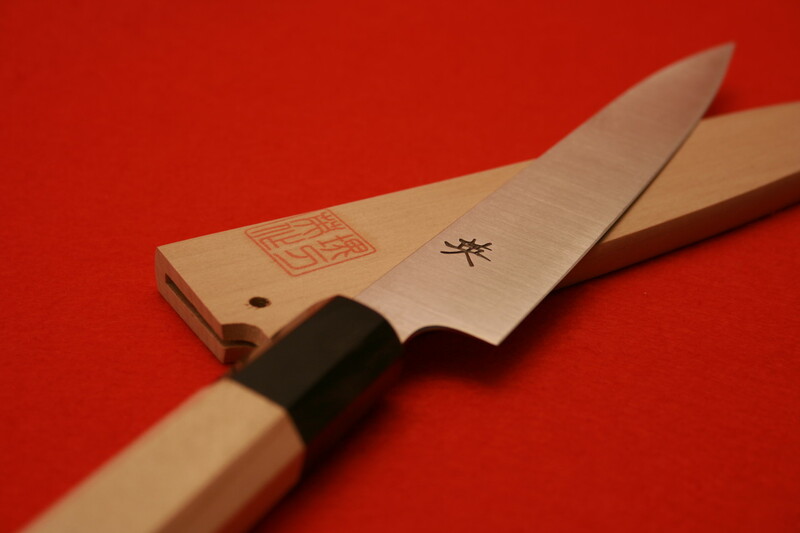 Unlike other knifes made from stainless steel, this knife keeps a fine edge and a beautiful surface.